FROM all-white kits to Pimm's and strawberries and cream, Wimbledon is a stickler for tradition. Every July, 39,000 spectators flood the grounds of the All England Lawn Tennis Club to catch the tennis action and, of course, scoff an incredible 28 tonnes-worth of fruit-based summer treats. As for the millions of viewers at home, the BBC is celebrating an impressive 90 years of Wimbledon coverage. Starting today, the broadcaster will once again serve up an extensive multi-platform offering to ensure fans never miss a minute of the fabled tournament. 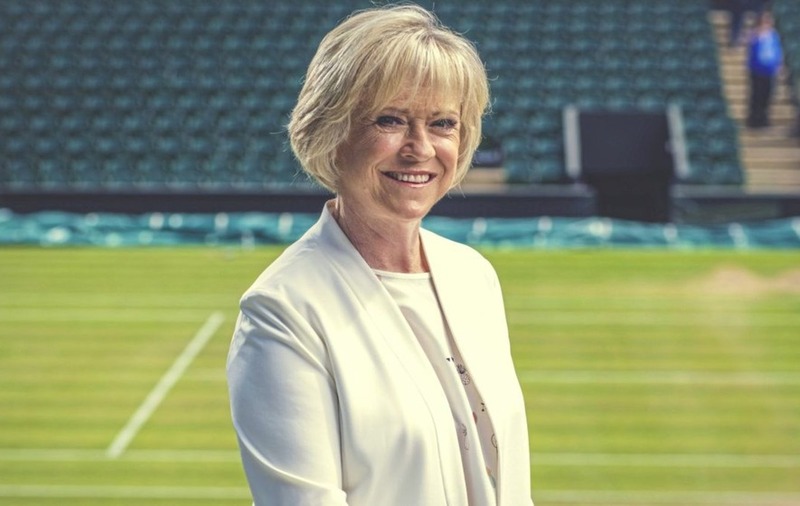 For presenter Sue Barker (61) who will anchor the TV exposure from today until July 16, the fixture has been a huge part of her life for the past five decades. "Wimbledon is a special place for me in so many ways," begins the Devon-born former professional tennis player. "I feel privileged to have been such a big part of it over the years. I never dreamed when I was competing at The Championships that I would one day be interviewing the winners on Centre Court for the BBC. "I still get goosebumps when I walk into the All England Lawn Tennis Club at the start of tournament and that will never change." And with plenty of memories ready to reel off, Barker has no problems rounding up her all-time match highlights. An obvious choice but I make no apologies for that because nothing else comes close to the afternoon when Andy Murray ended that 77-year drought for British men. I'd worked on a documentary with Andy and his team before that year's Wimbledon, and knew how much it meant to him, especially after losing in the final the previous year. I don't think I've ever felt so nervous watching someone serve out a tennis match. You could see how overwhelmed he was from the emotion – I don't think he knew where he was for a while just after he won. Quite simply, it was a privilege to watch. I'd grown up with Wimbledon, and so to play on Centre Court really was a dream come true. I played the great Maria Bueno, who had won the title three times years before and was making a comeback. Walking onto that famous court and playing such an idol was terrifying, and the first set, which I lost 6-2, seemed to go by in a haze. But I managed to relax a bit and eventually won in three to cap a very special day. The 2001 tournament was the one that everyone felt Tim Henman could win, and who knows – if it hadn't been for the awful weather, he might well have done. But the compensation for home fans was a truly unique final, played on the Monday in a very exuberant atmosphere. It was just destined to go to five sets. After three runners-up finishes, even Goran seemed unsure that he could finally win, and of course that year he only got into the draw thanks to a wild card. He always wore his heart on his sleeve on court and seeing the mental agony etched on his face in the final games was almost too much to bear. Happily, the ecstasy soon followed. What most people probably remember about the 1993 final is not that Steffi Graf won but that Jana Novotna lost. Watching the tearful Czech player being comforted by the Duchess of Kent after letting the title slip through her fingers was heart-breaking – and being honest, most of us probably thought that her chance of winning the title had gone. But not Jana and, despite losing another final in 1997, the tears of despair turned to tears of joy when she beat Nathalie Tauziat in 1998. 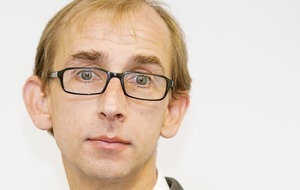 If it was a Hollywood script, you'd say it was implausible but that's the magic of Wimbledon. I could probably pick a dozen great Wimbledon moments involving Roger Federer. Who can forget the final against Rafa Nadal in 2008 but the year after that was also truly memorable when Federer bounced back from that defeat to see off Andy Roddick 16-14 in the final set. It was a win that saw him reach 15 Grand Slam titles and move past Pete Sampras to become the most successful male player in history. Sampras, who had not been back to the All England Club since he retired five years previously, was watching in the Royal Box, a lovely touch which epitomises the spirit of Wimbledon. 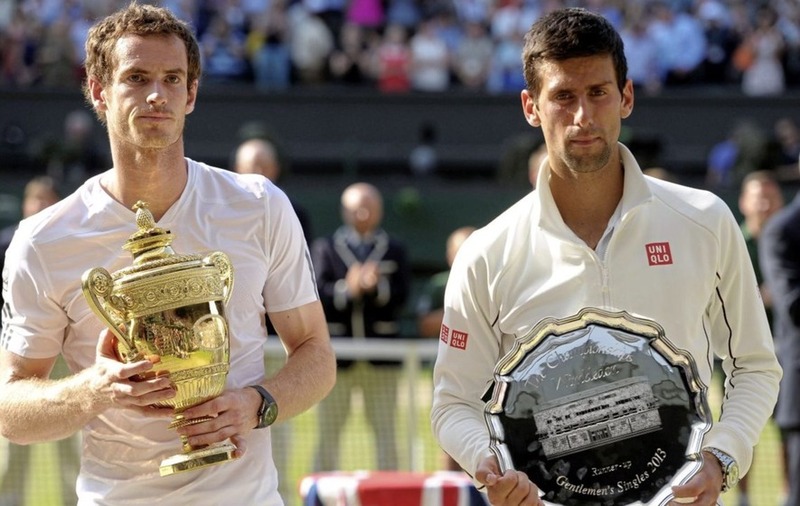 It was a devastating third Wimbledon final defeat for Roddick. I remember saying to him in the on-court interview how cruel tennis can be but he was so magnanimous in defeat, a real example of treating triumph and disaster just the same. The 1988 final saw a passing of the Wimbledon torch from Martina Navratilova to Steffi Graf. Martina was going for a seventh consecutive title while Steffi, who would go on to win seven herself, was looking for her first. Steffi was still a teenager but was already the world number one and her booming forehand had helped win her the first two Grand Slams of the year. She won in three sets and went on to win a unique Golden Slam that year, all four majors and the Olympics. Martina won another Wimbledon singles title a few years later but that day she had to stand aside for a new queen of SW19. No Wimbledon highlights shortlist could be complete without the epic fourth-set tie-break between Bjorn Borg and John McEnroe. The ice-cool Swede against the volatile New Yorker, it was 20 minutes of unbelievable drama as McEnroe saved a clutch of match points before eventually taking the tie-break 18-16. It must have been such a blow to lose that but Borg held his composure to take the final set and clinch his fifth title in a row. It's no wonder that tie-break became one of the most famous sporting moments of all time. In fact, perhaps the only drawback of the Centre Court roof is that we no longer get the chance to broadcast it when there's a rain delay!